Bangor twice beat Cony during regular season. HALLOWELL — The Cony/Hall-Dale/Monmouth hockey team has lost six straight games against Bangor dating to the 2014-15 regular season, but the Rams are focused only on the two most recent meetings as the teams prepare to play a Class A North quarterfinal game Tuesday night inside Bangor’s Sawyer Arena. After sitting as high as second in the Heal point standings this winter, No. 5 Cony (8-8-2) went just 1-4-1 over its final six games of the regular season. No. 4 Bangor, by contrast, won its final two games of the season to finish 11-7-0. Tuesday’s winner gets No. 1 Lewiston, the two-time defending state champion, in Saturday’s regional semifinals at the Androscoggin Bank Colisee. This marks the second straight season Cony and Bangor have met in the playoffs. Last winter, Bangor bounced Cony in the regional semifinals. Despite Cony grabbing the early lead in the first minute of that game, Bangor stormed back to advance to the regional finals. It was the beginning of an unfortunate trend for Cony that carried over into this season. In a pair of losses to Bangor within a 13-day span this month, Cony saw leads evaporate against Bangor. A 2-0 first-period Cony lead turned into a 3-2 overtime loss on Feb. 3; on Feb. 16, four Bangor third-period goals resulted in a 4-2 Cony loss. If history — recent or otherwise — suggests anything, it’s that Tuesday’s quarterfinal should be tight. Each of the last five games between the two teams has been decided by two goals or less. Among goaltenders who have played at least half of their teams’ games this season, Bangor’s Jacob Henry (2.36) and Cony’s Dalton Bowie (2.50) rank third and fourth, respectively, in goals against average. Both have save percentages over .900. For a Cony team that averaged just 2.25 goals per game against playoff-bound Class A teams, it’s especially important the Rams try to simplify their game against Bangor. 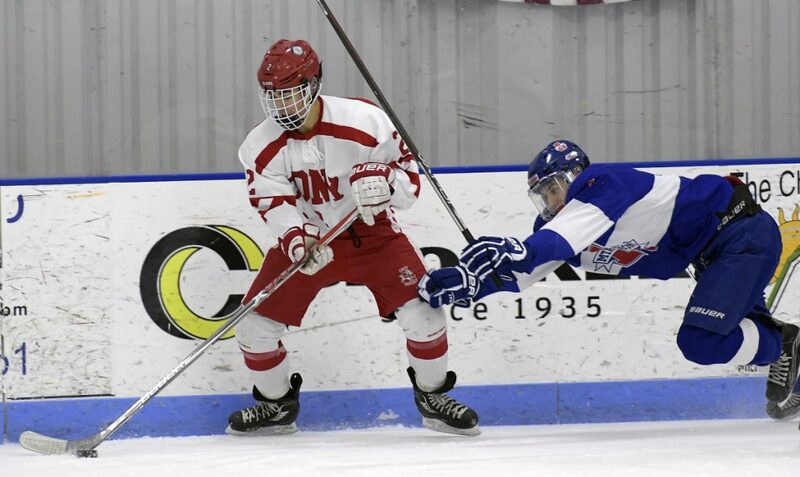 Cony will be without forwards Michael Boivin and Sam McFarlane, both of whom are injured. Bangor relies heavily on its top line, which has accounted for 36 of the Rams’ 59 goals this season. Nick Boudreau’s 15 goals and 24 points lead Bangor, while David Brown and Reid Higgs each have 21 points on the year.